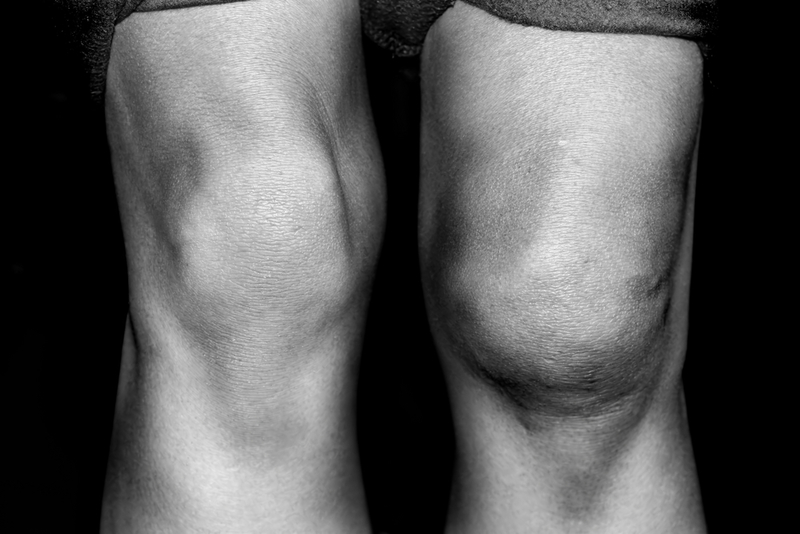 Knee surgery for most people can be very painful. Following surgery you will likely experience swelling, bruising and occasionally the inability to walk without assistance. It is important for the patient to realize there are ways to manage post-operative pain and symptoms. Depending on the surgery performed and the physician performing it, physicians may use different pain management strategies. Often a surgeon will use Novocain and other numbing medications to help mitigate the pain. Other medication such as Morphine and Tordol are often used following surgery. Surgeons are using pain pumps now that are a reservoir of pain medication such as Novocain to help lessen the pain. Patients are often concerned about the use of narcotics following surgery. But is important that the patient controls the pain to be able to start the recovery process following the surgery. Following surgery the patient will often use oral pain medication for several weeks. Often nonsteroidal anti-inflammatories are used such as ibuprofen and naproxen to help decrease inflammation. Some surgeons may not use anti-inflammatories following surgery as they feel the effects may hamper the healing process. Bruising around the knee following surgery is a normal process and usually lasts about two weeks. The bruising will slowly decrease over time. Ecchymosis is the name of the purple color following surgery. The color is evident of the normal healing process and is indicative of blood in the tissues in the area. Of course with blood come oxygen, platelets, other nutrients, and building blocks necessary to form healthy, viable tissue. Swelling is also a normal process following surgery. The swelling can last for a period of up to three weeks following surgery. It can be managed a variety of different ways. Compression (ace wrap), elevation (propping your leg up; preferably above the level of your heart), and ice can help reduce swelling and speed recovery. Ice for 20 min is recommended. Direct ice with a barrier to protect skin (a towel) is most effective. This process of icing 20 minutes on/20 minutes off can be performed several times throughout day following surgery. A compression wrap such as an ace bandage can be useful tool to help decrease inflammatory process. On several occasions a surgeon will require the patient to wear pressure stockings (TED hose) either on the affected extremity or on both legs. Stockings are used to decrease the risk of blood clots that can form following surgery due to inactivity. Surgeons will usually require patients to wear stockings for a period of 3 to 4 weeks. 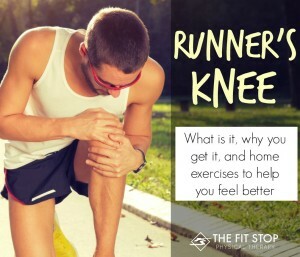 Physical therapy can help postoperative knee pain in many different ways. 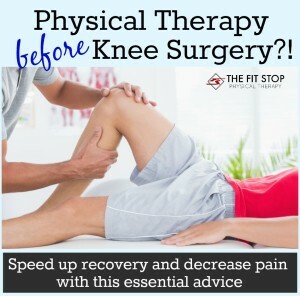 Patients will consult with their physical therapist to learn exercises that are effective in helping reducing swelling, maintaining strength, and also increasing the ability to ambulate following surgery. Therapists often use modalities such as ultrasound and transcutaneous electric stimulation (TENS) to help increase blood flow and help with circulation to surgical site. Though not effective for everyone, most patients will feel significant relief from these modalities. You should also expect to receive a “home exercise program” (HEP) from you physical therapist. Your HEP will consist of some simple stretches and strengthening exercises to help increase range of motion and maintain hip strength. It is very important that a patient follows this exercise routine as outlined by the physical therapist. This is the fastest and most effective way to recover from surgery and regain normal function. Oftentimes a patient will be required to use an assistive device. This could either be crutches, a cane or a walker. A therapist can be a great resource in setting them up for a proper fit and demonstrating how to use these tools properly. These tools are helpful in reducing a patient’s pain/swelling and improving function following the surgery. 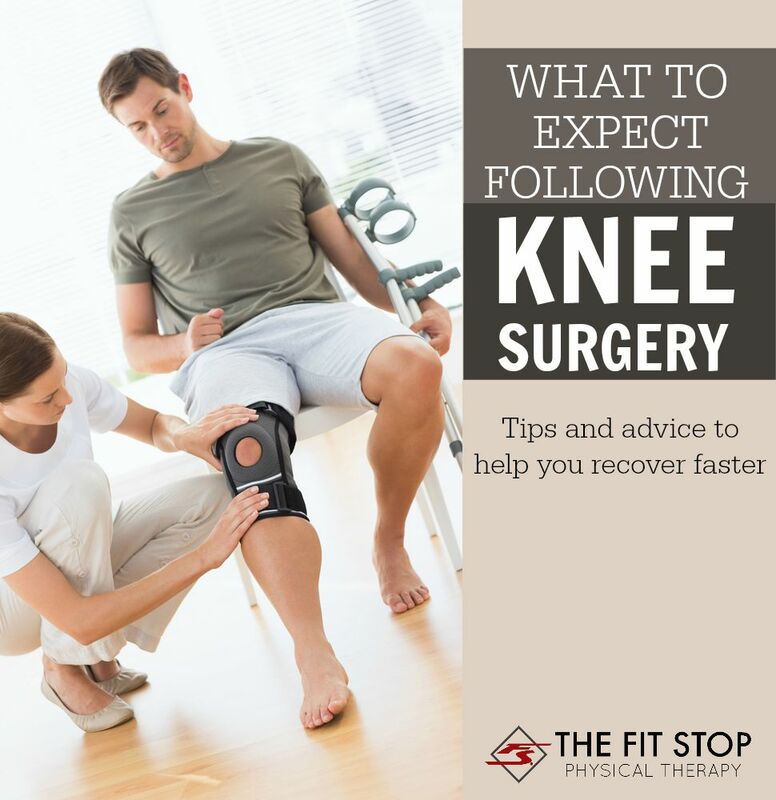 Here at the Fit Stop Physical Therapy, we have years and years of effectively treating knees following surgery. If you have any questions about your surgery (either recent or upcoming) we would love to hear from you and provide you answers! Please don’t hesitate to contact us at one of our four conveniently-located clinics listed below (click on the links to be taken to the contact information for that clinic).